~New families must create username and password (https://online.factsmgt.com/signin/4C7RF) to setup an auto payment. If you completed registration for your child/children for 2019-2020 school year, go to FACTS Management to select option payment associated with your contract agreement. ﻿Families and Friends of St. Edward School, sign up for eScrip now and help support our school. There is no cost to participate and sign up is easy! Join Today! 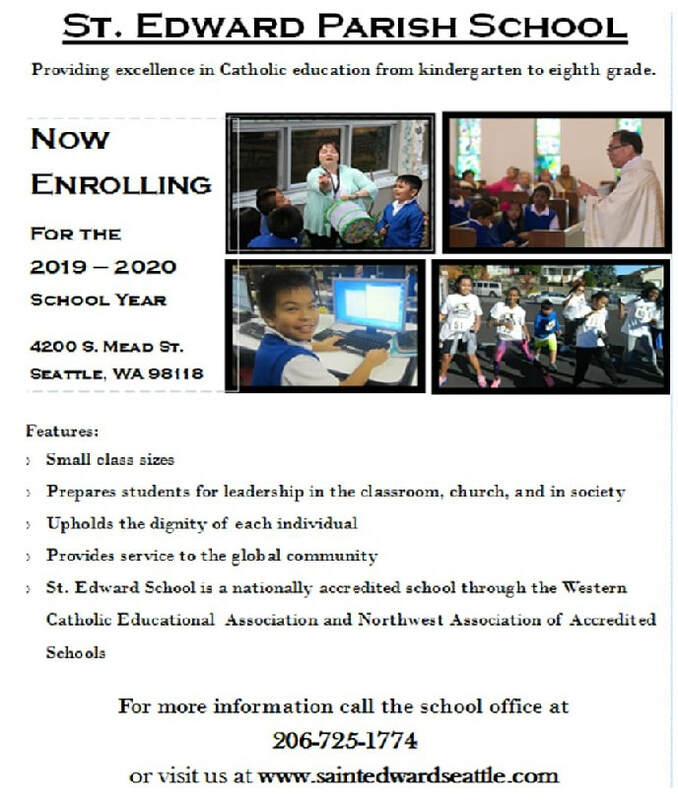 "St. Edward School admits students of any race, color or national and ethnic origin to all rights privileges, programs and activities generally accorded or made available to all students at the school. In the administration of its policies, the school does not discriminate on the basis of race, color, national or ethnic origin in the administration of its educational policies, admission policies, scholarship and loan and athletic and other administered programs".